An indispensable source of light, windows open us to the outside world – its freshness, warmth, and fresh air … But they can also be the site of a significant loss of energy and, consequently, be either a source of lost money or of savings! The energy performance of windows, like their manufacture, is worth looking into before purchase. They offer good value for a very favourable energy efficiency. A hybrid or mixed window is one whose frame is composed of two or more materials. It could be a wooden frame covered with aluminum (rarer and more expensive), but it is often a PVC frame covered with an aluminum extrusion. Aluminum is recognized for its unique properties of lightness and solidity. It is malleable, recyclable, and resistant to corrosion. It can be recycled almost infinitely without altering its characteristics. PVC is a very good insulator. 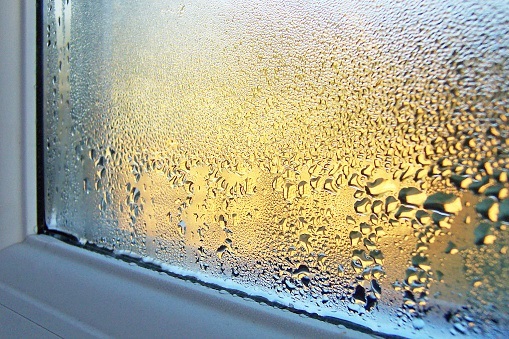 It limits the transmission of heat and the consequent risk of condensation. It also costs less than other materials. Easy to maintain, this plastic material does not rust or rot. Hybrid windows allying PVC and aluminum are exceptionally attractive as they combine their different strengths. The resulting windows are energy efficient, waterproof, and solid. Moreover, this union of the two materials balances the higher cost of aluminum with the lower price of PVC. As we said earlier: a good price for an efficient and reliable product. Hybrid windows may consist of low-emissivity (Low-E) glass, double or triple glazing; they come in a variety of colours, whether interior or exterior, allowing them to match the decor. Keep in mind that aluminum-covered frames better retain their colours outside. Backed by the familiar seal identifying the most energy-efficient products on the market, hybrid windows are a wise choice for the fenestration of your entire home or a single room. Interested by hybrid windows? Contact us so we can discuss about your project together!